Rooms, services Hotel SPA Gloria Przemyśl is offering 43 tastefully furnished rooms to those seeking accommodation in Przemyśl. The hotel offers chield-friendly services, which will assure a pleasant stay for the complete family. The hotel is prepared to host pets as well, so for an additional fee you may also take yours along. The hotel is happy to have you in the restaurant for a hearty lunch or a romantic dinner. If you are arriving by car, the hotel will provide you a parking space without charging you any extra fees. Refreshing wellness services will be available on the spot, for the details please check the information sheet. If you choose one of the rooms equipped with air-conditioning, you can rest assured that you will be arriving home to a cool and pleasant room even after an exhaustive and long day (you can make sure on the information sheet of the selected room if it features air-conditioning). You can also bring your laptop for the holiday, for there is wireless Internet connection (WiFi) available at the hotel. If you wish to learn more about the exact scope of services provided by Hotel SPA Gloria Przemyśl (including those available for an extra fee) or about the equipment of the rooms, you can find the complete list on the information sheet below and on the information sheet of the given room. Payment The following methods are available to pay the reservation: cash, bank transfer, credit card. 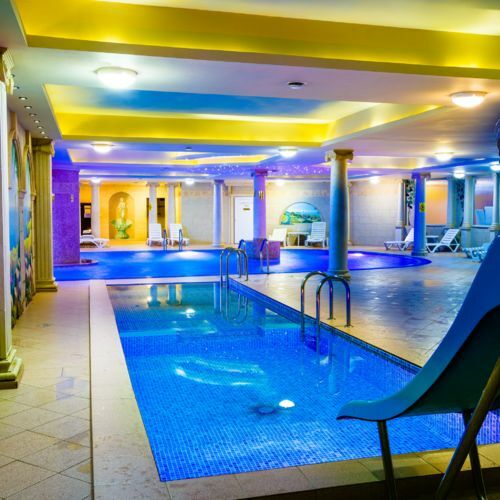 To be able to accept your booking request Hotel SPA Gloria Przemyśl is asking for 100% advance payment. Arrival, opening hours The earliest time to check in to your room is 14:00, the latest time to check out of your room is 12:00. English, Polish and Ukrainian languages are spoken by the personnel. The rating of Hotel SPA Gloria Przemyśl is 6.8 from the maximum 10, 7 based on actual and valid guest ratings and reviews. "Jakość obsługi, dostęp do informacji"
"Serwis sprzątania pokoju (brak sprzątania pokoju przez 4 doby, brak papieru toaletowego, brak wymiany ręczników mimo zgłaszanej prośby, nie działająca klimatyzacja) Jedzenie zimne, monotonne, tłuste." "Wesele, glosno podczas pobytu, wielkość pokoju."